The Professional Automotive Guide for Indianapolis and Castleton area Drivers: Air Vent Cleaning Ever get musky odors coming from your car’s air vents? It’s fairly common for Indianapolis and Castleton area auto owners. Moisture can typically accumulate in the air conditioning/heating ventilation system allowing mold, mildew, fungus, and bacteria to grow. Disinfecting and deodorizing is a doable process. Depending on how bad the problem is, there are a couple of approaches Professional Automotive may take to get rid of the unwanted smells. For mild situations (especially on newer vehicles), a special deodorizing disinfectant is introduced into the ventilation system. This may be an aerosol or a mist application. The treatment kills the offending organisms and deodorizes the system. Sometimes in older vehicles, a good deal of mildew or other microorganisms can grow on the air conditioning evaporator, which is housed in the heating/air conditioning air blend box behind the dashboard. In cases like this the Professional Automotive service advisor fills the blend box with disinfecting foam that can eliminate stubborn organisms and return a fresh, clean scent. In all of this, don’t forget your cabin air filter. This is the essential filter that cleans the air coming into the passenger compartment of your vehicle. Indianapolis and Castleton area car owners can often replace the cabin air filter to eliminate unpleasant odors. It is the first line of defense. Changing the cabin air filter as needed can actually prevent further contamination problems downstream. If you are experiencing any unusual odors, sounds, vibrations, etc., talk with your friendly Professional Automotive service professional. He can recommend the next steps to discover what the trouble is and what it will take to set it right. Give us a call Professional Automotive 7013 E 86th St Indianapolis, IN 46250 317.596.0898 At Professional Automotive in Indianapolis IN (46250) we install quality NAPA replacement parts. Give us a call at 317.596.0898. To learn more about NAPA AutoCare, visit www.NAPAAutoCare.com. 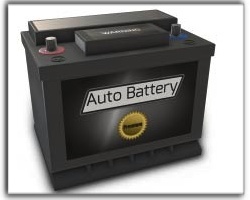 In today’s Professional Automotive ProTalk blog, we are focusing on battery maintenance. Eventually your car battery will fail and you will need to replace it. In fact, 70% don’t even make it four years. There are some things Indianapolis motorists can do, however, to make their battery last a little longer. It’s all about the flow of electrical power. When you start your SUV, the battery uses power to get your engine cranking. As your engine runs, your alternator generates electricity to run all your electrical systems: like lights, a half dozen computers, anti-lock brake system, traction control, power windows, electronic fuel injectors, stability control, air conditioning, transmission servos – the list goes on. Any leftover electricity goes to recharge your SUV battery. Then you turn on your radio and seat heaters; maybe plug in your cell phone and computer; the kids watch a DVD and pretty soon there isn’t much extra electricity to go back into the battery. Now, if you were on a long IN road trip, no sweat – you’d have plenty of time to fully recharge your battery. But not if you’re making stops around Indianapolis. Every time you start your SUV engine, your battery takes that big hit again. Multiple starts – multiple hits. By the time you get home, you have less than a full charge. When the battery is continuously in a discharged state, it loses its ability to fully recharge. This starts a downward spiral in your battery life. Now when your battery is on its way to getting this bad, your alternator is working overtime trying to keep it charged – which causes the alternator to wear out prematurely. A lot of experienced Indianapolis technicians suggest replacing your battery after five years, even though it hasn’t yet failed, as a maintenance item to extend alternator life. Now, there is something you can do to help your battery last longer by hooking up a battery charger once a month in the summer and every three months in winter. This will ensure your SUV battery routinely has a full charge. You can do this less often in the winter because the electrochemical process slows down when it’s colder and less damage is done when your battery is low. Computerized battery chargers are real easy to use because they monitor and control the charging rate to keep the battery from overheating while it’s charging. We recommend that you ask your friendly Professional Automotive adviser to test your battery so you know how much life is left. If it’s good but needs a maintenance service, he’ll have it cleaned up and make sure the connections and cables are good. If it’s looking like you ought to replace it, he’ll help you with a battery that’s right for your SUV and driving needs. With gas prices on the rise, you want to squeeze the most from every gallon. Minor maintenance can lead to maximum mileage. From a simple do-it-yourself tire pressure check to recommended professional maintenance, the following tips from the Car Care Council were complied by your local auto parts and service professionals to help you take steps to make sure you’re getting the most out of every gallon of gas. Properly inflate your tires to the manufacturer’s recommended pressure. Underinflated tires can cost up to two miles per gallon. Carry a tire pressure gauge in every vehicle and check tire pressure at least once a month. Have your air and fuel filter replaced. Replacing a clogged air or fuel filter can improve your gas mileage by up to two miles per gallon. Have your alignment Checked. Improperly aligned wheels can cost up to two miles per gallon.